One night, Stevenson's wife was disturbed by the movements and sounds of her sleeping husband; he seemed to be having a nightmare. She woke him. He was indeed having a nightmare, but he complained, on being awakened, that he had not come to the end of what was proving to be a fascinating tale. That morning, he rapidly wrote down the story that he had dreamed, adding an ending. When he read the tale to his wife, she was dissatisfied; she thought that it was simply a "crawler" (standard gothic horror tale) and that he should develop the moral issues inherent in the tale. He argued with her vigorously but in the end accepted her view and burned the first draft. The tale still had a strong enough hold on him, however, that he composed the second draft (the version that was published) in only three days. Released to the public, the tale captured the public imagination and has not let go to this day. The Strange Case of Dr. Jekyll and Mr. Hydemade Robert Louis Stevenson a household name, and it made Stevenson's fortune. In less than a year, "Jekyll and Hyde" was an English colloquialism. In 1887, when Stevenson went to the United States, it was his notoriety from The Strange Case of Dr. Jekyll and Mr. Hyde that induced Charles Scribner's Sons to offer him a lucrative contract. That contract gave him his first taste of financial independence. The story that produced such wide-ranging effects begins very quietly with a sketch of the passive, observant, tolerant Mr. Utterson, Dr. Jekyll's lawyer, the man from whose point of view this third-person narrative is told. 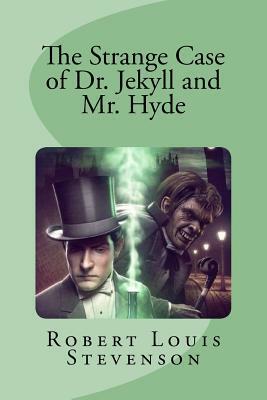 Utterson's tolerance is being strained a little by Jekyll's curious deference to a Mr. Hyde, a man to whom Utterson takes an instant dislike. Only gradually does the intensity of the narrative increase as Utterson becomes more curious and Hyde becomes more disreputable. The story comes to a climax as Utterson helps break down a door to get at Hyde. The lawyer moves, then, from tolerance to judgment, from observer to participant; if it were not for the title of the tale, one would call Utterson the protagonist.